The collaboration of volunteers from Bolivia and many corners of the world played an important and welcome role in the Fundación Pueblo from the outset. It is an expression of interpersonal solidarity and has often given important inspiration and contributions to the projects and programs of the Foundation in Bolivia. We therefore welcome in principle any request to work as a volunteer or trainee at the Fundación Pueblo. 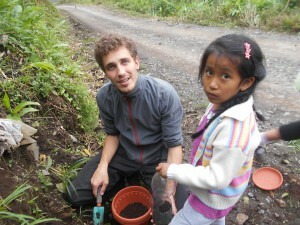 Volunteers and trainees at the Fundación Pueblo receive no salary but rather a humanly and socially enriching task. This can be seen from the co-operation and the reports of many people of who have volunteered in the past. In Europe, volunteers can be a great help in the dissemination of information and fundraising and can initiate partnerships with groups and institutions that promote development projects. Anyone interested in voluntary work of this kind should first consult Günther Schulz by email. Sufficient ability in Spanish to work with spanish speaking colleagues and audiences. The Fundación Pueblo provides qualified volunteers and interns a job in one of our offices and offers assistance in finding available accommodation. Interested parties should contact Günther Schulz with an email, attaching a cover letter with a resume preferably written in Spanish. 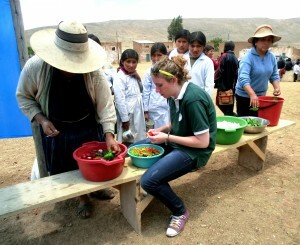 Funded by the Federal Government development policy the volunteer program “Weltwärts” annually funds some employment places for young volunteers from Europe at the Fundación Pueblo. If you are interested in a year long commitment of this kind search for Fundación Pueblo under “employment places” on the Weltwärts website.